In business life, many activities aim to increase numbers. But to bring certain indicators up, however, the focus must be on pushing others down. At Linde, we are convinced that safety is one of the most effective but also the most overlooked factor to positively influence business performance. That's why Linde is pursuing a comprehensive safety philosophy under the motto Vision ZERO. Safety in your world. The aim is to avoid 100% of accidents in internal logistics. 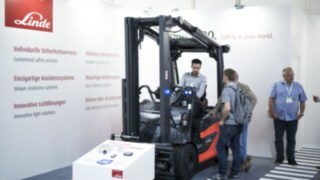 To this end, we develop technical innovations for our forklift trucks and warehouse equipment, assistance systems, software tools as well as training and consulting services, which we present at the A+A to specialists, safety experts and decision-makers. We offer our customers more than just products. We accompany our customers in identifying their weak points and on this basis we develop a range of assistance systems, retrofitting solutions and trainings to ensure sustainable safety in their operations. Our concept was particularly well received by HSE managers who are responsible for operational safety. With the Safety Scan, we have developed a structured range of consulting services that will help you and your occupational safety specialist to improve safety in internal traffic. 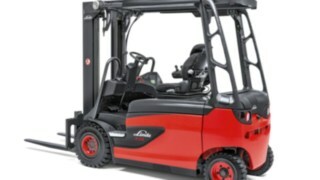 The basis of the consulting is our decades of experience in intralogistics and an innovative methodology. 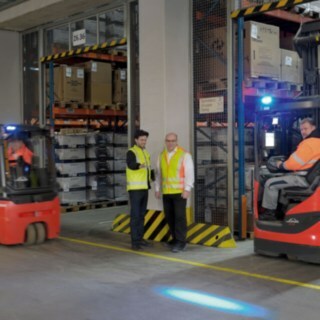 Specially trained experts - Linde Safety Consultants - will guide you step by step through the systematic analysis of hazard points in warehouses and production facilities. They develop specific recommendations for action for your individual requirements and support you in implementing organisational and technical solutions. 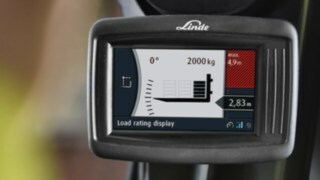 With the Linde Safety Scan, you can noticeably increase the safety of your employees and vehicles and sustainably improve your production performance. 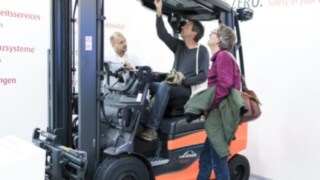 The SpeedAssist assistance system supports drivers by automatically reducing the speed of the truck when entering warehouses and production halls - wherever appropriate speed helps to prevent accidents. 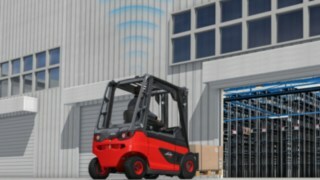 The Dortmund-based start-up company comnovo has been part of Linde Material Handling since the middle of the year. The comnovo team develops and produces innovative hardware solutions and wireless systems for sensor data acquisition, distance measurement and localization. The aim is to increase personal safety in everyday working life with reliable and retrofittable solutions.